RECOMMENDING: 8 Nigerian Songs You Should Be Rocking Right Now! you may be rocking some of them already but I assure you there are some you haven’t heard that they are great songs yet to gain much popularity. You are going to find the stream link below each song and a link to buy them on MTN Music Plus Or iTunes, if you want free download you can Google search these songs to download. This is the number 1 song on my playlist, as a matter of fact as at the time of writing this article I was listening to it. The song was released November last year and the music video followed few hours later. The song is what you call real; Afropop, AfroFusion, PopFuji or whatever you choose to call it all I know is; the song is a great song and you will definitely shake body every time you listen to the song. Simi’s style is just so different and sweet! Been rocking this song since last year, I was about getting tired of it when the remix came out featuring Davido I just couldn’t believe Davido’s line in the song, it is so funny! Every time I listen to the song I laugh, he briefly talked about his fight with his Baby mama and Dele Momodu. In short Humblesmith did a great job making a song like this, as a matter of fact I prefer this song to Godwin! This song have been trending since last year, if you are in Nigeria and you haven’t heard “Connect” being played on the streets you are definitely not a music lover, even non music lovers love this song! As a matter of fact this song is my best song sang in Igbo language ever. After watching the video on Trace Urban a couple times I was forced to go buy the song on MTNMusicplus. Sisi Eko was released last year by Lams records artist Subzilla I actually got to know the song while watching Sound City last year. The song is a real dancehall song with some interesting rhythm. I don’t have much to say about this song you can stream the song below. This is a song you will find inside the “RED” Album TIwa Savage dropped last year December , the song is seriously trending on social media at the moment after dropping the music video few days ago it has garnered thousands of views on Youtube. This song has quite some huge popularity on radio stations this song was released middle last year but started gaining popularity late last year, you should buy this song on MTNmusicplus or download on any music site. The video was released late last year you will find the video link below. I must confess.. i love this song! Read ALSO: Actress Beverly Naya Full Biography, Life And News. 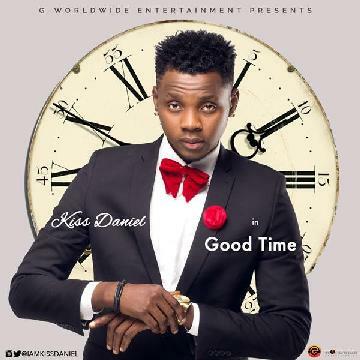 “Good Time” is another amazing song from Kiss Daniel released late last year, the video released few weeks after. The song is garnering a lot of digital download and radio airplays at the moment, song has good lyrics,good rhythm as a matter of fact i am really loving Kiss Baba right now! Wizkid made a cover for the song earlier this month. You should get this song on your device ASAP! I WOULD RECOMMEND ADURA- WANDE COAL AND PICK UP- ADEKUNLE BUT I’M SURE YOU ARE ALREADY ROCKING THE TWO ALREADY. I WILL BE BRINGING YOU ANOTHER LIST NEXT MONTH… KEEP CHECKING!